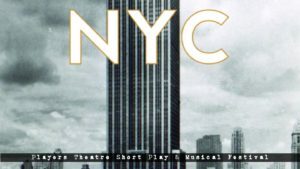 The Players Theatre – Short Play Festival – Three weeks of new plays with themes about love, horror, and New York City. New York City is like no other place in the world! We are seeking plays that get to the heart of the Big Apple and explore what makes this town tick. Unique New York - it's more than a tongue twister - it is a way of life!